IDAHO FALLS, Idaho – The war is still being waged against lake trout in Yellowstone Lake, but fisheries biologists are seeing new trends that offer optimism, and anglers hunting cutthroat trout are seeing more and bigger fish. During the 1990s or perhaps earlier, lake trout were introduced into Yellowstone Lake illegally, and the invasive species had catastrophic effects on the fishery. Yellowstone National Park’s website on the subject illustrates the point with what happened in one spawning tributary to the lake: “The number of Yellowstone cutthroat trout spawning at Clear Creek peaked at more than 70,000 in 1978 and fell to 538 by 2007.” That scenario was being repeated in all of the tributaries to the lake – a population crash with extinction knocking at the door. The voracious lake trout were eating cutthroat right out of the lake. Why is Yellowstone Lake affected so drastically by lake trout and not other lakes such as Jackson Lake – a lake that also has both cutthroat and lake trout? Miller, who is very familiar with the Jackson Lake system, says it’s mainly a difference in food base. Sweet said a film crew from Jackson, Wyoming, followed he and his daughter on their backcountry fishing trip into the Thorofare area. The movie is now making the circuit with the Fly Fishing Film Tour nationwide. He said the film helps him in his efforts to raise money through Trout Unlimited in the park’s battle against lake trout. A trailer of the film can be seen at vimeo.com/306866505. 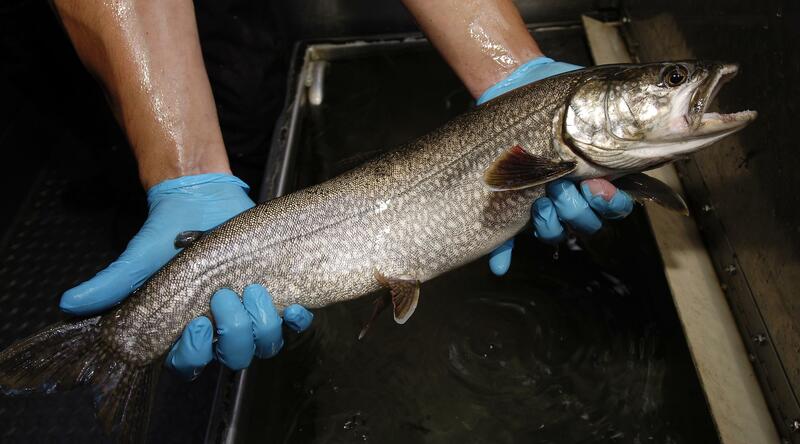 Koel said he doesn’t expect lake trout to be completely eradicated but must be held in check.